Fill in the information on the form below and use your credit card or PayPal account to remit your dues by clicking on the “Buy Now” button. Note that you can still pay by credit card without a PayPal account – just look at the bottom of the box asking for your PayPal account information to click through to the credit card payment page. Use the drop down boxes to choose your membership level, whether you are a new member or renewing your membership, chapter affiliation, and newsletter format. Of course, include your name, address, e-mail, and phone number. If you are wishing to renew for multiple years, please change the number of items (i.e. years) on checkout to show how many years. To make a donation, use the “Donate” button below. Please note: MNPS is in the process of installing a different and more efficient online form. Had reports of some problems with completing a registration – it seems to be fixed. If you experience a problem, please let us know what happened by writing to the webmaster (mnpswebmaster@gmail.com) with as complete an explanation of what happened as you can. Thank you. Please include the email you wish to use for MNPS notices and Kelseya Newsletter mailings. Preferred address for receiving Montana Native Plant Society mailings. Choose 1: Calypso (Dillon, Butte, Southwest Montana; Clark Fork, (Missoula, West Central Montana); Kelsey (greater Helena area); Flathead (Northwest Montana, Glacier Park); Maka Flora (Eastern Montana); Valley of Flowers (greater Bozeman area). Non-Chapter Areas: Eastern-at-Large (roughly east of Continental Divide) and Western-at-Large (roughly west of Continental Divide. Unless you are registering as a LIFETIME member, of you want to pay for more that 1 year, put in the number of years you want to pay. 1-year and LIFETIME members, leave the default of 1 year. The regular membership period is 1 calendar year. Membership renewal is due prior to the end of February. New memberships from the beginning of November include the following year. Optional donation for general support of the Society Mission. Thank you very much! This is the amount you will be charged when you click the pay button and finish checkout through your credit card or PayPal. 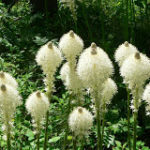 Membership in the Montana Native Plant Society is on a calendar year basis, March 1st through February 28 th the following year. New member applications processed before the end of October will expire February 28th the following year. Those processed after October 31st will expire February 28th of the year after. New memberships are processed quarterly and your membership will be acknowledged by email along with a digital pdf copy of the most recent issue of the Kelseya newsletter. The annual expiration date for renewing membership is the end of February. Members about to expire are sent a renewal post card in January. Don’t let your membership expire; renew today and don’t miss out on society events and the Kelseya newsletter. Some of you may be the sparkplug who organizes a local chapter where one does not now exist. Ten paid members are required for a chapter to be eligible for acceptance in the MNPS. Need to change your membership address? Please let us know if your physical or email address for receiving MNPS correspondence has changed by notifying our membership chair, Cathie Jean by Email or by sending a note to MNPS Membership, P.O. Box 8783, Missoula MT 59802. 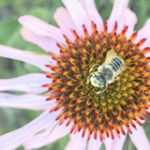 The Montana Native Plant Society links academic, land management professionals, natural resource experts, independent scientists, horticulturalists, and other professionals and amateurs who share an interest in Montana’s native plants. Society membership supports your interest and knowledge, which can be shared and expanded through association with other members. Society membership offers professional association, communication, and networking opportunities for working botanists and those working in allied fields. 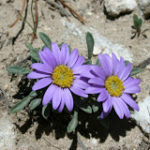 Society membership offers myriad opportunities for expanding the individual knowledge of anyone interested in Montana’s native plants. MNPS is the premier independent organization in the state working on plant conservation issues. All members receive the quarterly MNPS newsletter, Kelseya, filled with timely scientific articles and organizational news, as well as a yearly field trip booklet. Membership is fun and rewarding… why would you read this and not take the next step and join!